Imagine if instead of heading to your local brewery to get fresh-brewed beer, you could just brew its product in the convenience of your own home on your kitchen countertop? That’s the concept behind a new beer-making appliance called the Pico that essentially acts like a high-tech coffee or bread maker, but for beer. 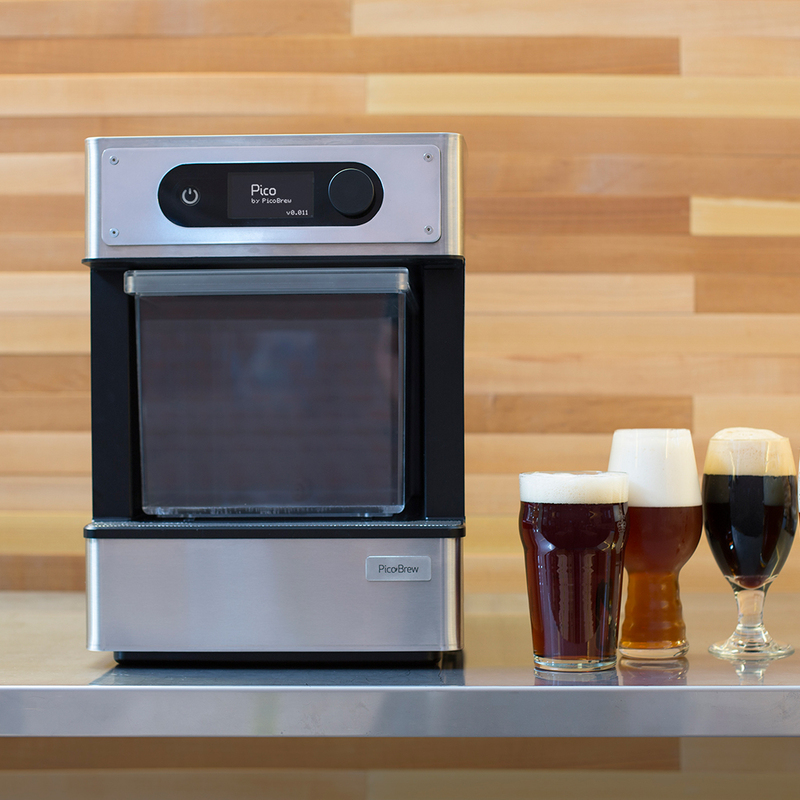 The company PicoBrew launched in 2013 with the vision that they wanted to “get the world brewing.” Their first product, the Zymatic, is a $1,999 machine that simplified homebrewing into one single appliance. Their newest device, called Pico, doubles down on that concept—going smaller, cheaper and partnering with breweries across the country to offer up “PicoPacks” that allow anyone to brew established beers at practically the push of a button. The company describes Pico—which has just launched as a Kickstarter at the early bird price of $499 but will eventually retail for $999—as a “3D printer for beer” but in many ways it sounds more like a Keurig machine, though with a few more steps. Similar to how Keurig users grab a K-cup to make their favorite brand of coffee, PicoPacks are currently available from over 50 different breweries, including well-known brands like Rogue and Dogfish Head. Using a PicoPack takes a bit more work than a K-cup—users have to put the ingredients in the right compartments—but other parts of the process are equally automated: Pico recognizes which pack you are using automatically and handles much of the work at the touch of a button. Of course, beer also requires fermentation, meaning that, unlike a cup of coffee, homebrewers have to wait a week or more until their brew is finished. But do people really want to wait over a week for a beer they’ve made when they can still head to the store and buy beer right now? PicoBrew promotes freshness and personalization (you can vary things like ABV with your Pico) as some of its advantages. PicoPacks also allow breweries to sell their products around the world in a way that’s not always possible with the finished packaged products. Plus, it’s easy to see how PicoPacks, which are sold through an online store, could be used to promote limited release beers or even recipes from gypsy brewers or actually creative homebrewers (sorry, Pico users) who don’t have their own brewing facilities. Pico is already storming toward it Kickstarter goal. If all goes well, these Picos are set to ship as soon as March of next year. I guess if you’re patient enough to wait five months for your new homebrew system, you’re patient enough to wait a week to drink beer you made at home.